Out with the cold, in with the woo. A hike this afternoon at Arabia Mountain (my favorite local place!) led to a couple good finds. 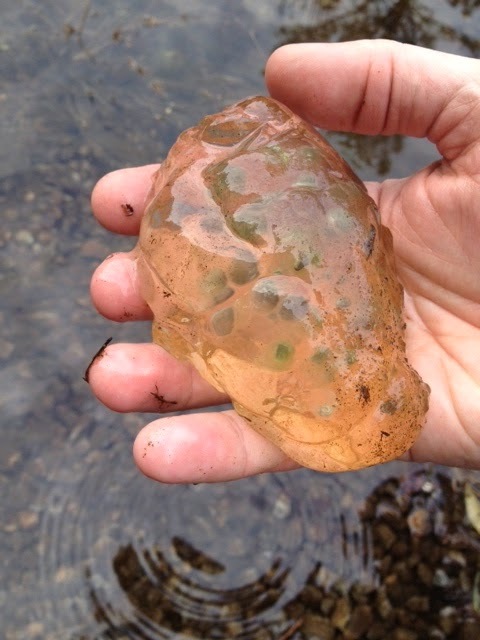 A very brave Jay scooped up this gelatinous mass of salamander eggs(?) from a vernal pool for me to poke and squirm at. There were lots of these (that I’m guessing might be Spotted Salamanders) and a couple of others that maybe are Blue Spotted Salamander eggs. Very cool, kinda gross and entirely too squishy for my taste. 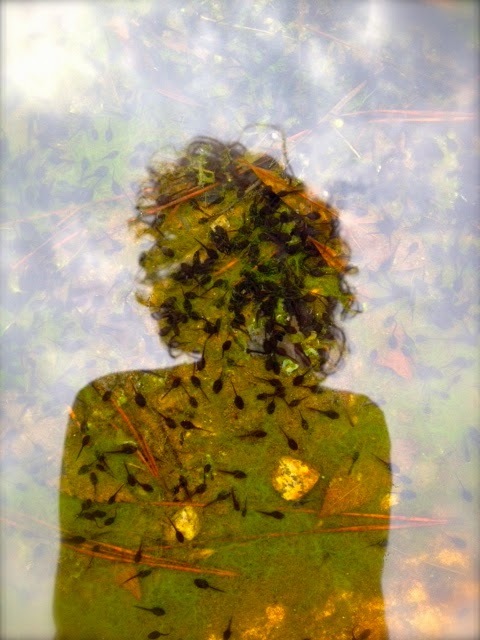 The opposite end of the same vernal pool held lots of teeny-weeny frog tadpoles… could these be chorus frogs in my reflection?